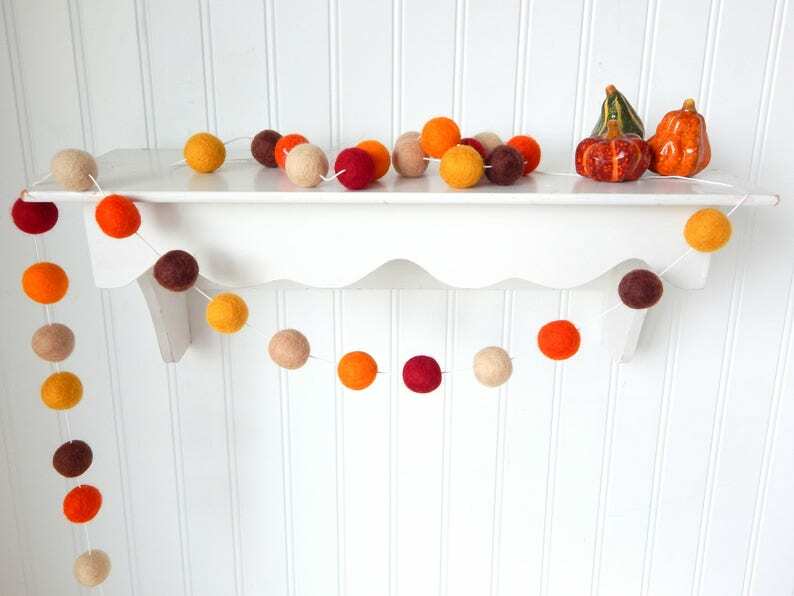 This adorable Autumn Wreath wool felt ball garland is made with alternating 3/4 inch mustard, chocolate, pumpkin, cream, cherry, melon and hazelnut balls and will add a little dash of color to your holiday home or party. 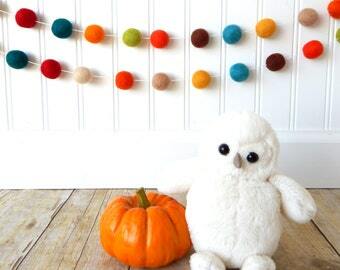 This colorful garland will make a reusable, eco-friendly decoration for parties or your home. 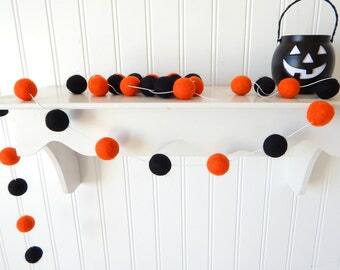 *Please keep this garland out of the reach of children. 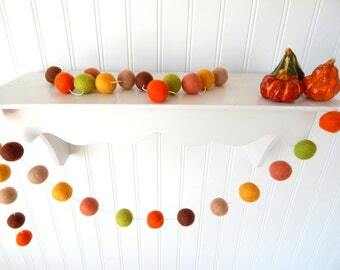 Even though today is the beginning of spring, the autumn garland is so pretty I'm tempted to decorate for fall! Thanks for the speedy delivery and a beautiful product. Very cute!! It looks great on my mantle. 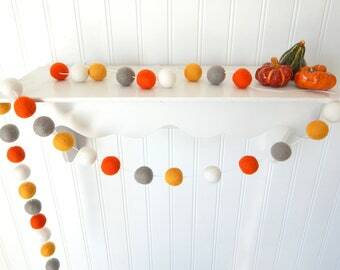 Nicely made garland. The colors are beautiful for fall!